Hi guys! When I was preparing for outfit shooting,I realized that I’ve neglected my LV bag and decided to show you one more time with this outfit. I love to mix my high -low clothes and accessories. 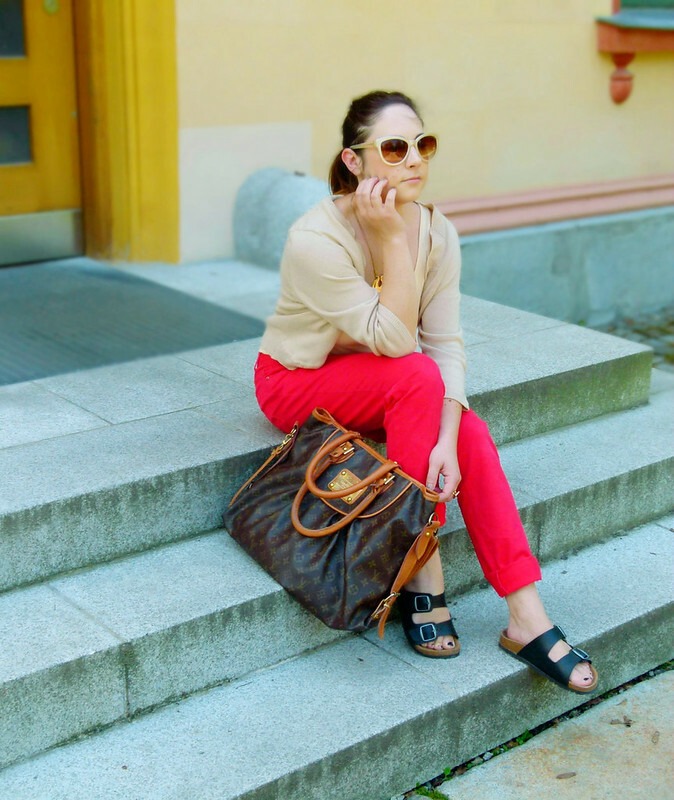 In contrast to this bag are boyfriend jeans,that they cost a lot less,than bag.and they are red.My favorite color,plus trendy birken simply casual,but cool look. Right?